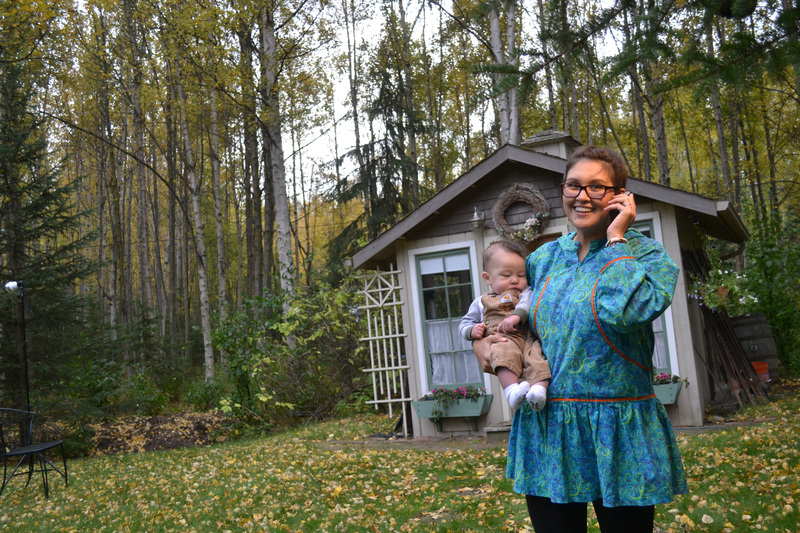 Sign up for TelAlaska Cellular and discover the most reliable and best value in cell phone service for rural Alaskans – backed by the company you can trust. 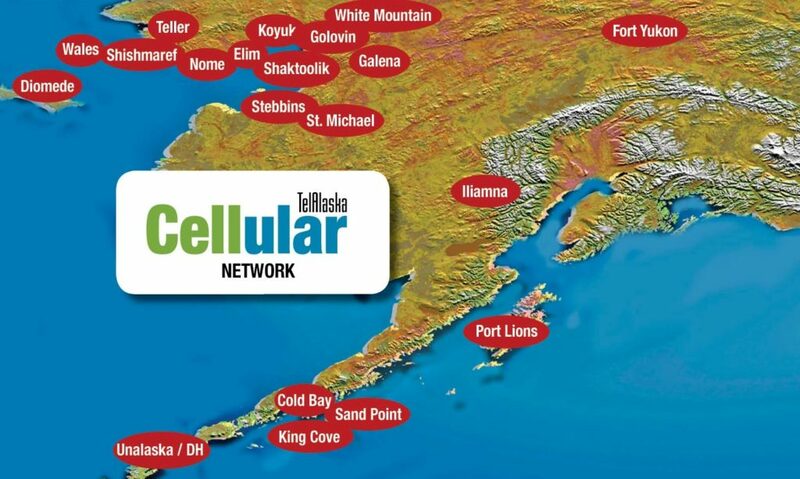 TelAlaska Cellular services are currently available in Brevig Mission, Cold Bay, Elim, Fort Yukon, Galena, Golovin, Iliamna, King Cove, Koyuk, Little Diomede, Nome, Sand Point, Port Lions, Shaktoolik, Teller, Shishmaref, St. Michael, Stebbins, Unalaska/Dutch Harbor, Wales and White Mountain. Visit this page for updates on cellular locations as we turn up service in additional communities. Please visit our Network Policies page for terms and conditions and usage policies for cellular services from TelAlaska. 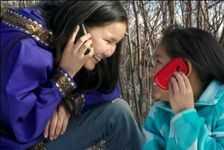 Individuals qualifying for the Lifeline assistance program may choose cellular phone service from TelAlaska for no monthly fee. Plan does not include “roaming” (calls placed when you travel outside the TelAlaska Cellular Network). Roaming is 25¢ per minute. Long distance calls that exceed 400 minutes per month are 25¢ per minute. Monthly long distance allotments are calculated from the 24th of the month through the 23rd of the following month. Lifeline is a government assistance program and documentation from one of these services is required for enrollment. Annual Income is at or below 135% of Federal Poverty Guidelines. Eligible customers may apply for Lifeline by printing and completing this application: Lifeline and Linkup Application. NOTICE TO NEW AND EXISTING SUBSCRIBERS REGARDING TRANSMISSION OF WIRELESS EMERGENCY ALERTS (Commercial Mobile Alert Service): TELALASKA CELLULAR presently does not transmit wireless emergency alerts. Notice required by FCC Rule 47 C.F.R. § 10.250 (Commercial Mobile Alert Service). If you should have any questions regarding your service or this amendment to the terms and conditions, please call us at 1-877-478-2305. The ideal plan at an ideal price for those who do not need cellular long distance service. 1000 Minutes of local calls and incoming calls received locally. Also includes calls within the TelAlaska Cellular (TCI) Network. Above plans are $10 more without TelAlaska local service. Additional lines share pool of cellular minutes with host plan. Additional (beyond contract) minutes, 25¢ per minute. Outgoing text messaging, 10¢ per message without the unlimited plan. Monthly minute allotments are calculated from the 24th of the month through the 23rd of the following month. A data plan is required for all smartphones. Roaming data usage (outside customer’s local calling area) will be charged according to that carrier’s fees. Data usage subject to TelAlaska’s Terms & Conditions and Acceptable Usage Policy. 1000 Free Local Minutes, Voice Mail, Calling Features and more! Move to the Head of the Class Plan – Only $34.99 per month! 400 FREE Long Distance Minutes per month, in-state/out-of-state calling. Roaming Outside? No problem! You are on a nationwide network! *Must be 18 or older. Students under 18 can have their parent or guardian contact TelAlaska to establish service. Free VeryKool i133 (or comparable) phone. Other restrictions apply. Call for details on prices per minute for calls exceeding the plan offering. Additional (beyond contract) minutes, 25¢ per minute. Outgoing text messaging, 10¢ per message without the unlimited plan. Monthly minute allotments are calculated from the 24th of the month through the 23rd of the following month. Experience wireless internet access and computer functionality in the palm of your hand. Ask our customer service team about a data plan for your cell phone. Cellular voice plan required. Roaming data usage (outside the TCI Network) will be charged according to that carrier’s fees. Data usage is subject to TelAlaska’s Terms & Conditions and Acceptable Usage Policy. 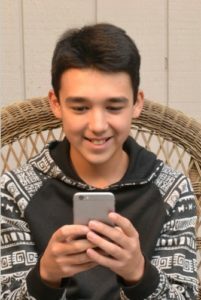 A data plan is required when purchasing a smartphone.